Obubu Tea Farm is tucked away in the rolling green hills of Wazuka, an agricultural town located south of Kyoto with a history of tea production dating back over 800 years. While many of the older tea businesses in Japan are just beginning to make their teas available to the international market, Obubu has been providing overseas consumers with tea almost from the outset. Their teas are currently sold through consumer-friendly online stores as well as directly through their own web store. In addition to tea production, Obubu's president, Akky-san and vice president, Matsu-san provide and lead tea education opportunities locally, nationally, and internationally. Obubu's internship program provides people from all over the world with the unique opportunity to get first-hand experience in all aspects of Japanese tea production as well as providing Obubu with well-earned international visibility. Obubu also offers tea tours and special tea picking events to local and foreign visitors. I first heard about Obubu in 2013 through their promotion of the annual Teatopia Festival (Chagenkyo Matsuri) in Wazuka. Since then, I've been following their progress and positive feedback from the expansion of their tea line to the growth of their internship, tour, and education programs. Last November, I had the pleasure of visiting Wazuka and attending Teatopia Festival. Though I was unable to attend a tea tour and to provide a first-hand account of the experience, Simona was kind enough to provide the following interview. 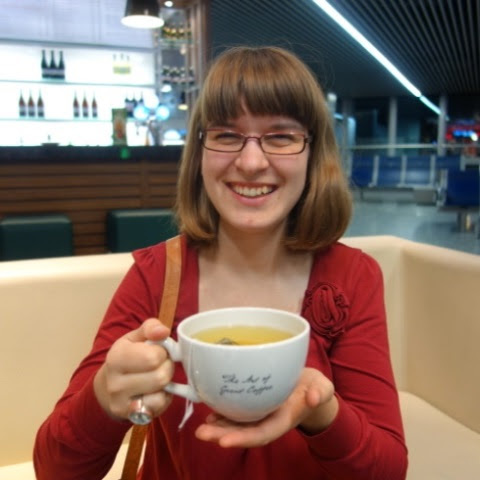 Simona Zavadckytė oversees Obubu's international programs including wholesale, tea tours, and international internship. What was the inspiration to begin growing and manufacturing tea? Can you tell me about any tea mentors who inspired the creation of Obubu and any who may continue to provide inspiration? 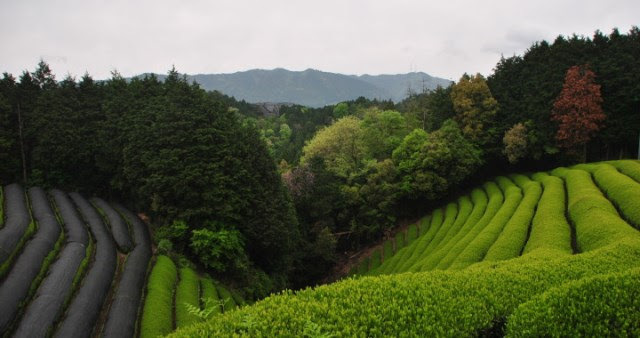 In contrast to other tea farms in Japan passed from one generation to another, Obubu was started as a new venture. It all started from a single cup of tea, when Obubu's president Akky-san came to our town Wazuka to work on a tea farm during his college break. He loved the tea he was having on the farm so much that he left the college and started tea farming. To this day Akky-san, who spends every single day on the tea farm, continues to be the inspiration for everyone in Obubu. As Obubu continues to grow, can you share some of the new projects and tea products we can look forward to in 2016 and beyond? As Japanese tea is becoming more popular worldwide, Obubu is looking to introduce more teas and teaware through the coming year. Samidori Matcha is our newest release with a few more to follow. Obubu offers several unique tea tours, including guided tea field visits and tea tastings, self-guided hikes, and seasonal tea picking experiences. Are there plans for additional tours or hands-on experiences like sencha-making, tea roasting, or genmaicha blending in the future? More and more people want to see a tea farm and have authentic tea experience. Currently we hold a few tea making events in every harvesting season, as well as welcome travelers on tea tours throughout the year. For those looking for a longer learning experience, there is also an international internship program. Through the past years we have been constantly creating new activities, such as Hiking Tea Tour, Competition Tea Picking, etc., and are looking to add a few more this year. Obubu has been presenting tea workshops all over the world, sharing the knowledge and appreciation of Japanese tea. Are there plans for next year's tea workshop destinations? Every year Obubu goes abroad to teach about Japanese tea and meet tea lovers. In February 2016 Obubu team will visit Taiwan and in February 2017 we will be back to Europe again. Obubu has been deeply involved in Chagenkyo Matsuri/Teatopia Tea Festival which takes place annually in Wazuka over the first full weekend in November. How long has Teatopia Festival been taking place and who can attend? Teatopia Festival, created to celebrate Japanese tea in a beautiful tea town Wazuka, has been held annually since 2012. Our vice president Matsu-san was one of the main festival initiators and Obubu has been supporting it from the very beginning. In 2016 the festival is planned on 12th-13th November, so anyone in Japan at that time is welcome to join. How long has the internship program been running? On average, how many internships does Obubu offer each season? Are there any challenges that potential interns should prepare for before they apply? Obubu's international internship was started in 2012 and until now we had nearly 50 interns from 15 different countries. Compared to the very start, the program has become really popular and now we have 4 interns at a time. The internship lasts 3 months and interns get a chance to learn ins and outs of Japanese tea, experience Japanese culture and gain some work experience in a small company. Where can foreign customers purchase Obubu's teas? We sell our tea through our English website, so our tea can be enjoyed anywhere in the world. How long has Obubu been producing organic teas? As the market for organic food and beverage grows, are there plans to expand the Obubu's organic tea line? While majority of our teas are made by our president Akky-san, our organic tea is make by a neighbour organic tea farm, that has been making organic tea for over 25 years. Special thanks go to Simona for taking the time to answer these questions and to Obubu for their tireless work in and dedication to the tea industry. To purchase tea and for more information on the tours and programs offered by Obubu, please visit www.obubutea.com (English). For more information on Wazuka's Chagenkyo Matsuri/Teatopia Festival, visit www.chagenkyo-matsuri.jp (Japanese).